You’ve probably heard of beauty entrepreneurs such as Elizabeth Arden, Vidal Sassoon and even Guy Tang. But, does the name Martha Matilda Harper sound familiar? She’s the greatest businesswoman you’ve never heard of. From servant to innovator, Martha is best known for developing the concept of the salon, inventing the reclining shampoo chair and creating the first franchise system. These innovations would go on to play a huge role in transforming the hairstyling industry. Born on September 19, 1857 in Oakville, Ontario, Martha started working at the age of 7. Eventually, she began working for a German holistic doctor who taught her about hair /scalp health and gave Martha his secret formula for hair growth. After immigrating to Rochester, New York to work as a servant, she began manufacturing her own hair growth shampoo in a backyard shed. With her entrepreneurial spirit and her life savings of $360, she opened a mini shampoo factory and the first ever salon, Harper Method Shop. 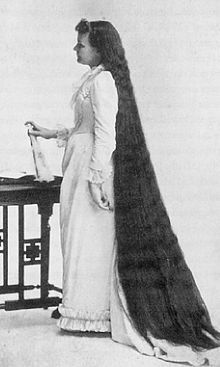 Clients visiting a salon was a foreign idea in the 1800’s as most women did their own hair or hired beauticians and hairstylists to do their hair in their homes. At first, business at Harper Method Shop was slow until a music teacher moved into the same building. After noticing the number of mothers waiting to pick up their children, she invited them into her salon to get their hair done. Over the next 3 years, the Harper Method Shop became a popular place for women to visit. Her clientele included women’s rights leaders Susan Anthony and Elizabeth Stanton, President Woodrow Wilson, President Calvin Coolidge and first lady Grace. As the salon got busier, Martha decided to expand her business concept. Her greatest career achievement was creating a franchise system which allowed salons to operate under the Harper name. During this time, she designed the first reclining shampoo chair. 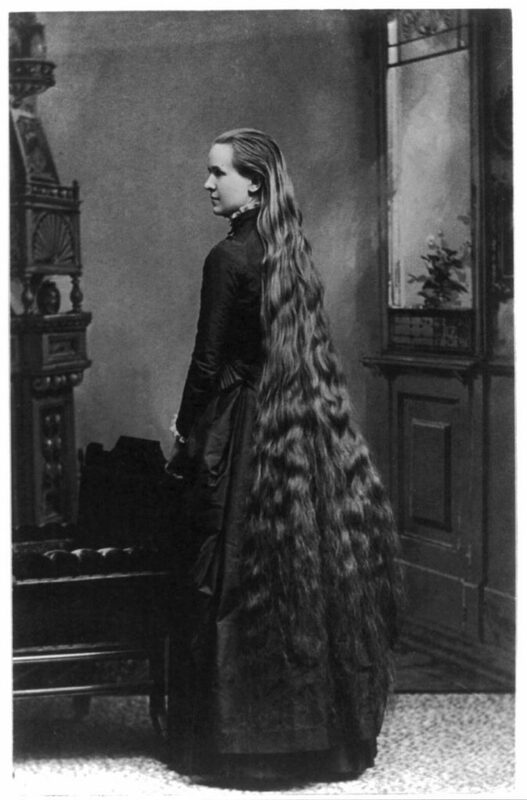 In 1891, she opened a chain of salons which were owned and operated by franchisees. Martha’s goal was to help women gain financial independence and career success. The franchisees were poor women and former servants who were trained by Martha on how to run a salon using the Harper Method of beauty treatments. The Harper Method placed an importance on hygiene, nutrition and exercise. She provided franchisees with national advertising support and made inspections to ensure each salon emphasized customer service and comfort, and was consistent in branding. Throughout Martha’s career, she expanded her empire to include 500 Harper salons and a chain of schools throughout Canada, US, Europe and South America. In 2003, she was inducted into the national Women’s Hall of Fame. 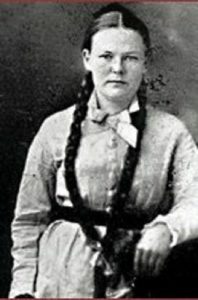 Martha Matilda Harper was both an entrepreneur and a beauty expert. 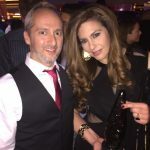 The Innovators of Beauty is a blog series that highlights leaders in the beauty industry. Early last year, we were the first Canadian Cosmetology school to say ‘bye Felicia’ to carrying around textbooks and hello to Pivot Point’s digital learning platform: Learn About Beauty. This exciting new application combines social media, personalized education and a collaborative environment. From any Smartphone, computer or tablet, our students have access to an online collection of interactive materials so that they can learn at your own pace, anywhere…anytime! In 2016, we partnered with Brows by G to bring a Partial Esthetics class in the latest in eyebrow technology: MICROBLADING. Survivor meets the Contessa’s to the extreme! 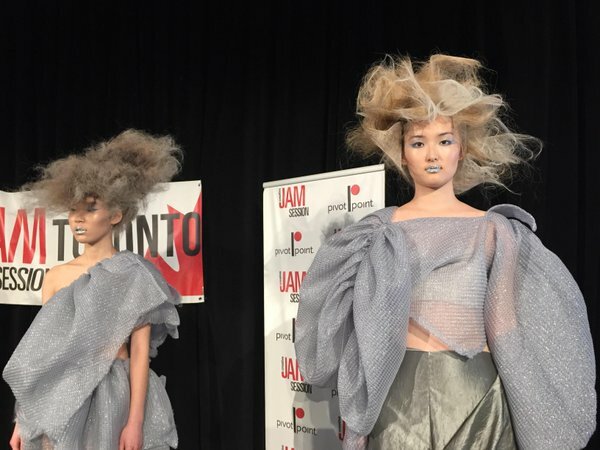 Nicolette Pirrott (instagram: @sharksloveteeth) and Tao Ping, two MC College Hairstyling Students from Edmonton were featured and competed in TLC network’s “Global Beauty Masters” show. Watch their live morning interview on Global Edmonton TV below! 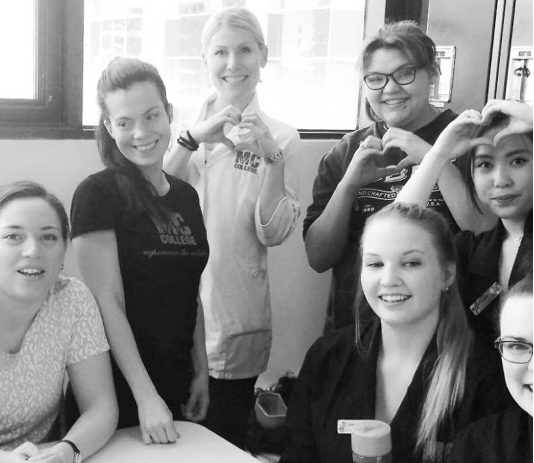 On May 12 2016, MC College organized a fundraiser across all six campuses for the Canadian Red Cross to assist those affected by the wildfires in Fort McMurray. 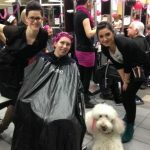 On this day, we donated 100% of the proceeds from our six salons and spas across Western Canada; raising over $7000! 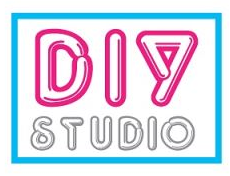 We launched the MC College DIY Studio event. This event is a series of do-it-yourself tutorials where our Students and Staff show you everything from creating Insta-worthy Holiday hair looks on yourself to a zombie inspired make up look for Halloween. Did you see MC College on Global Winnipeg Morning News and CTV Morning News? Click here to watch! Shaved over 120 heads at the 9th annual “Bald Falcon” event at Dr. Knox Middle School. $16,011 was raised for the BC Children’s Hospital Foundation! Students were the official hair and makeup artists for Kelowna Community Theatre’s “Jack and the Beanstalk”. 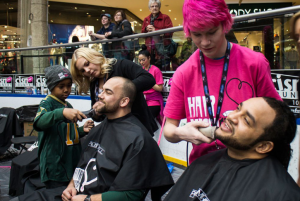 Pinked and shaved heads at the 13th annual Northern Alberta Hair Massacure event. 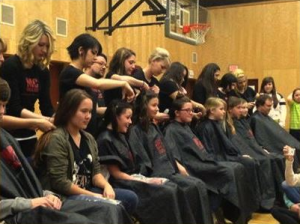 Over 900 visited the Edmonton school to get their hair pinked. Did manicures and pedicures for members of the Edmonton Police Wives Association as part of their “Pamper our Wives in Blue” event. 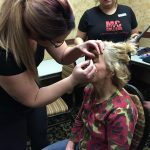 Students at the Red Deer campus did hair and makeup for cast members in the indie film “Break on Through”. Our students volunteered at the Relay for Life in June doing free temporary unicorn hair and braids for event attendees. 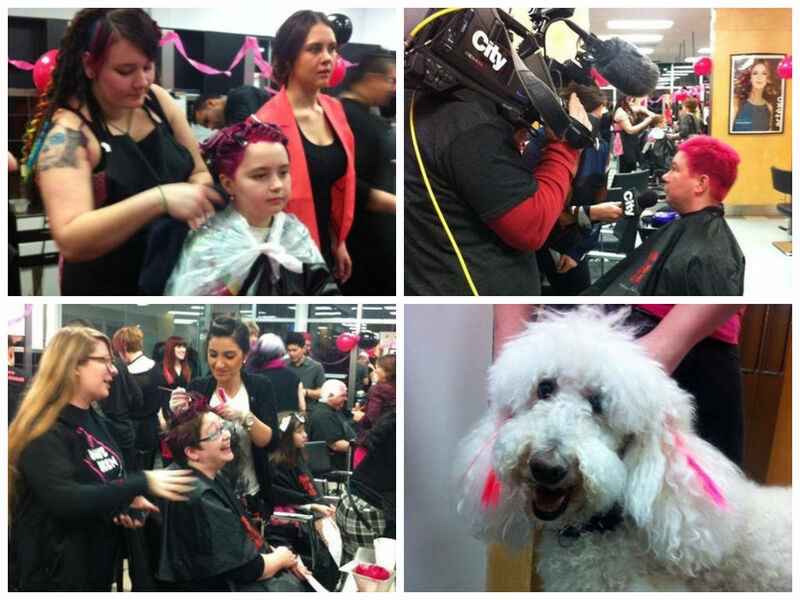 Kicked off the annual Southern Alberta Hair Massacure event with a full day of pinking! Students and Staff helped the Calgary Fire Department break a world record in mass head shaving. 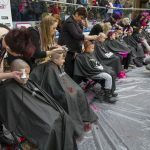 Over 320 people of all ages had their heads shaved simultaneously. The Calgary Fire Department raised over $120,000 for the Canadian Cancer Society. 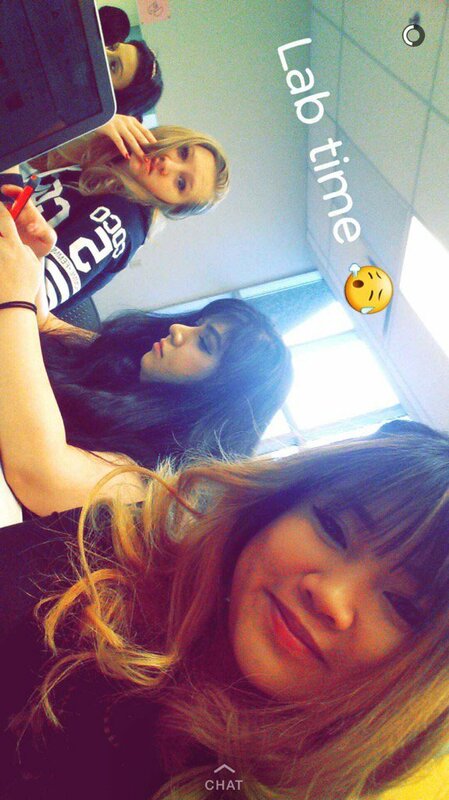 We get it, exams are stressful! 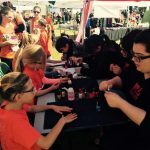 This past December and April, our Saskatoon students did free manicure and hand massages at the University of Saskatchewan’s Stress Less event. Free hair and up dos for graduating high school students as part of “The Princess Shop”. Manicures and haircuts for the families and their children staying at the Manitoba Ronald McDonald House. 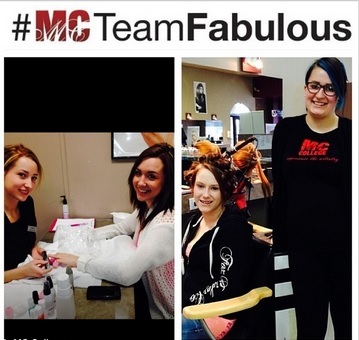 This past May, the Winnipeg campus did hair and makeup for the contestants of Miss Teen Canada. We’re so honored to be recognized in Modern Salon’s Excellence in Education Award 2016! As the only Canadian school recognized, MC College was an honoree and finalist in 2 categories: community involvement and technology. Hundreds of cosmetology schools from across North America submitted their entries for these and many other categories. 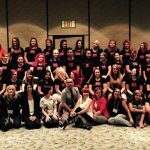 The Excellence in Education program is presented annually by Modern Salon, which is a leading North American trade magazine. Growing up in Mexico, Cinthia always believed that everyone deserves a chance. “I worked as a volunteer for an orphanage in Mexico City. In a city with at least a million kids living [on] the streets, it was hard for me to ignore that growing problem…”. After studying law for a year and immigrating to Calgary from Mexico in 2008, Cinthia decided to follow her passion and start her career towards becoming an Esthetician. 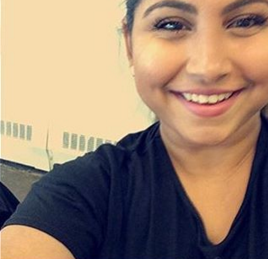 “Cinthia has impressed us at the campus with her open and positive personality. 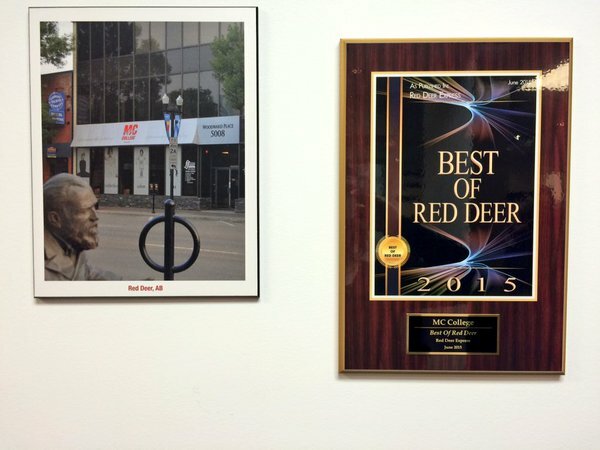 She is an extremely hard worker that consistently goes above and beyond the call” says Calgary Director, Todd Maki. “I love making people feel happy. When they come here, they might be stressed out from life but I get to help them feel their best and I love that feeling…I always knew I wanted to be an Esthetician but it took me awhile to realize it. For so long, I wanted to be a lawyer. 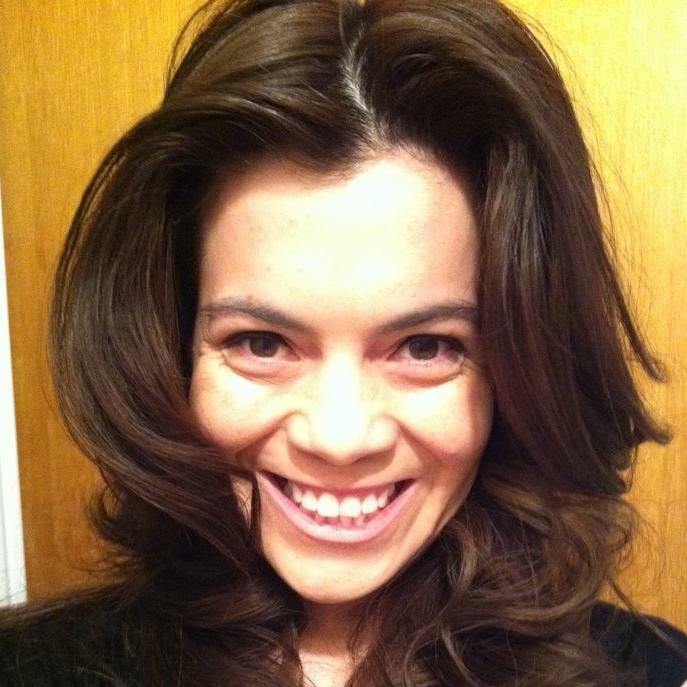 I studied law for a year in Mexico…but I wasn’t passionate about it….I love beauty products and making people happy. When I came to Calgary, I started investigating Esthetics”. What has surprised you the most about beauty school? What has been the most challenging thing you’ve learned at MC College? Why? Survivor meets the Contessa’s (Canada’s largest Hairstyling competition) to the extreme! 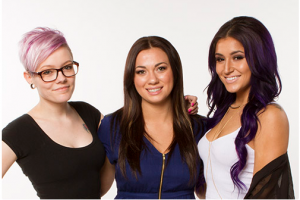 Nicolette Pirrott (instagram: @sharksloveteeth) and Tao Ping, two MC College Hairstyling Students from Edmonton will be featured in TLC network’s “Global Beauty Masters” show, set to premier on March 17th 2016 at 4pm (MT). This past Fall, the two Edmonton students traveled to Las Vegas to compete in the second annual Global Beauty Masters competition. 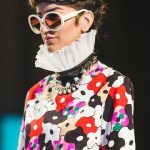 The competition is a television series that unites Hairstylists and Hairstyling Students from around the globe who compete to win the coveted title of “Global Beauty Masters”. Working together as the ‘MC Team’, Nicolette and Tao endured a week of intensive hair, makeup, nails and styling competition against teams from around the world, while being filmed for the show. “It was an awesome experience that I’ll never forget. 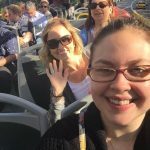 It was inspiring to be around people that have the same passion and feeding off their energy to create something amazing!” says Nicolette. 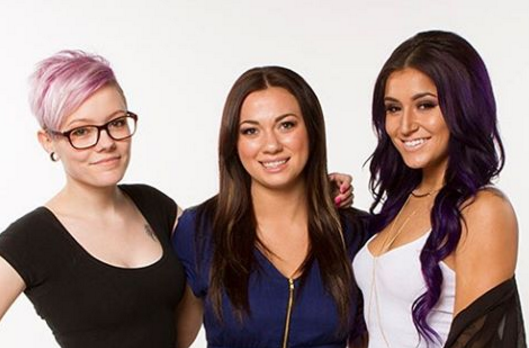 The show will premier on TLC on March 17 at 4:00 PM (MT). Say ‘bye Felicia’ 👋 to lugging around heavy books 📚 because we have some exciting news!!! This February, we will be the FIRST Canadian School to launch Pivot Point’s Learn About Beauty. Whether English is your second language or you’re struggling to keep up, LAB will keep you motivated to learn and keep you on track with your education. But…what is LAB?! From Snapchat to Instagram, you 💕 sharing your selfies and connecting with your friends. 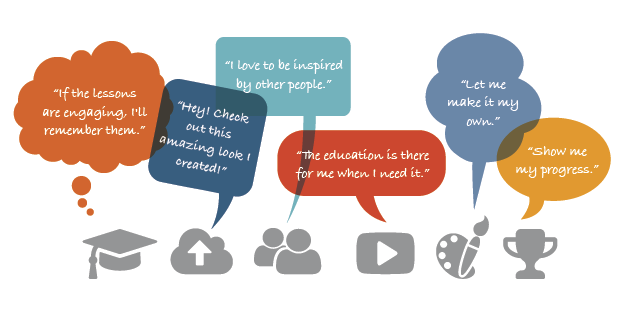 With LAB, it’s similar – it’s a digital learning platform that looks and feels like Social Media. From showing off pictures of your latest Kylie Jenner-Esque hair creations to posting tips for creating on fleek ombre nails in the discussion forum, you’ll be able to post and communicate with MC Instructors, Support Staff and Students across all 6 MC College campuses. If you’re a competitive person, you can earn points for social activities and school work in LAB. You can see how you stack up with the members of your community and “rise up to the challenge of your rivals” (aka: other students) to the top of the leaderboard. Whether you’re on an iPhone or Samsung, computer or a tablet, you have easy and on-demand access to an online collection of study guides, quizzes, videos and more. Learn at your own pace, whenever and wherever you need it! Pivot Point educational content is at the core of LAB. Lessons are short and include interactive materials to make learning fun and engaging. Included in LAB are learning paths which will guide you through every step of your education and keep you organized. *testimonials are from students who have used LAB. MC College organized a company wide fundraiser for the Canadian Red Cross. 50% of proceeds from salon and spa services on May 5th, at all six campuses, were donated to the Nepal Regional Earthquake Fund. 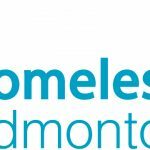 We fund-raised over $5000! Last summer, we launched our first Pop Up Salon in Edmonton: Colour Art Salon by Dona Karunathilake! From creating a dress code to setting salon prices, Dona and her team got to the #WorkGrind and experienced entrepreneurship firsthand. 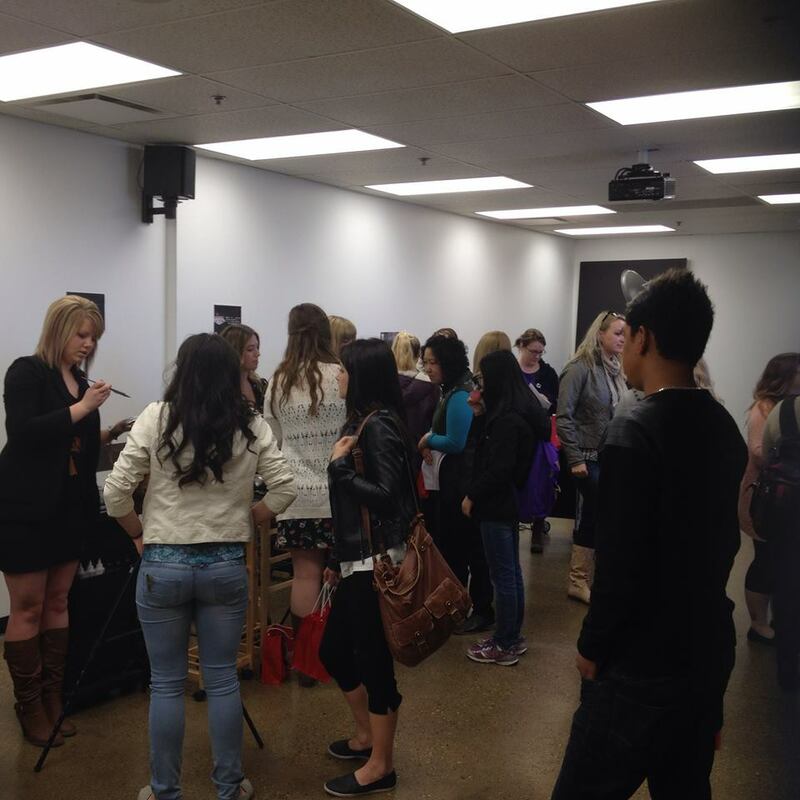 The Pop Up Salon gives students the chance to experience what it’s like to own a salon and learn on-the-job skills in marketing, finance and operations. The next Pop Up Salon is February 22- 27. To pre-book your appointment, call 780 429 4407 or email salon-ed@mccollege.ca (don’t forget to mention pop up salon!!). From July 11th to 13th, over 80 MC College students and staff boarded a plane for Las Vegas for the 10th annual #MCxNAHA show and the North American Hairstyling Awards. The highlight of the trip? One of our Hairstyling graduates, Marlo Steenman, won Hair Colorist of the year! 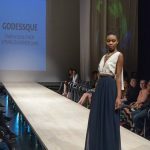 From November 3 to November 11 2015, we packed our bags and jet setted to the cobbled stone streets of Barcelona! 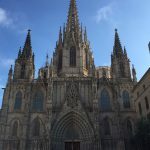 “My days in Barcelona were filled with culture, shopping, dining, and training…. 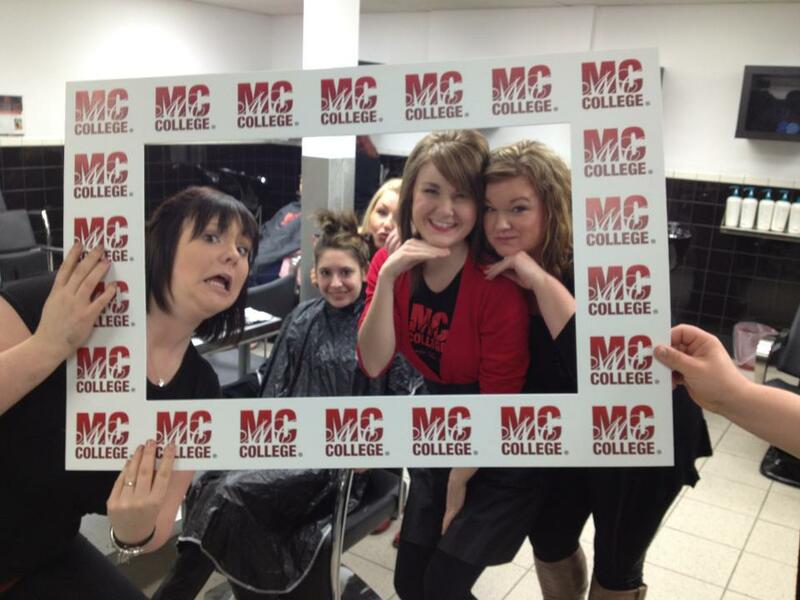 It was an experience I will never forget” says MC College Hairstyling Student, Meaghan Palmer. Saying ‘bye Felicia’ to their mannequin heads, creepy looking practice fingers and pulling an all-nighter to finish a garment can only mean one thing: it’s grad! 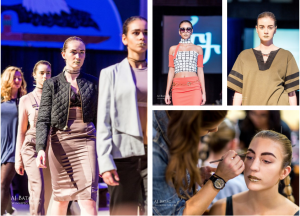 In Spring and Fall 2015, over 400 Hairstyling, Esthetics and Fashion Design students across six campuses celebrated their success with friends, family, industry partners and MC staff. Time flies by when you’re having fun. It’s hard for students to think about practical exams and mannequin work when graduation is around the corner. 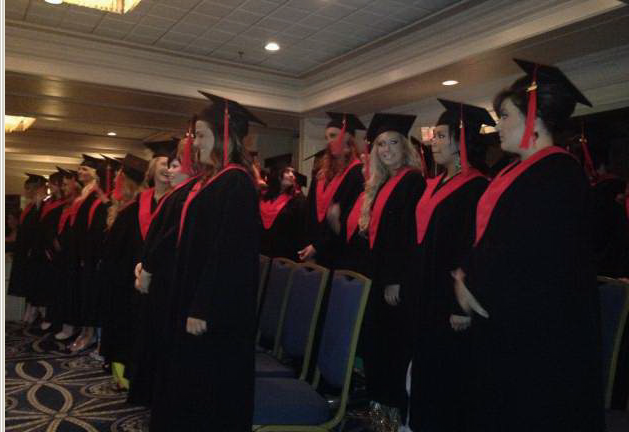 Throughout the month of May, the Calgary, Edmonton, Kelowna, Red Deer, Saskatoon and Winnipeg MC College campuses each held a Spring Graduation to celebrate and recognize the achievements of their graduates. 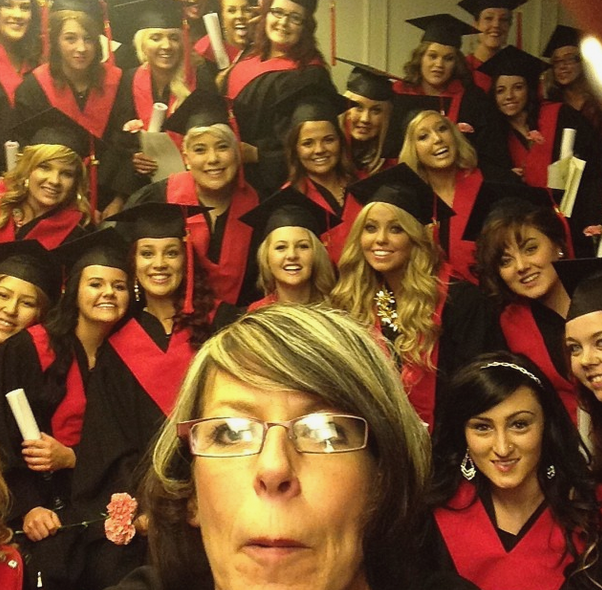 On May 10th, I went to Red Deer’s Spring Graduation and got to experience what their grad was all about. The banquet hall was filled with friends, families, industry partners and faculty. From sky high stilettos to glitzy nails and big hair, the Hairstyling and Esthetics students were the superstars of the evening as they danced their way to the stage to their graduation song: Happy by Pharrell William. Throughout the night, toasts to Graduates, Staff, and Students’ families and friends were made. 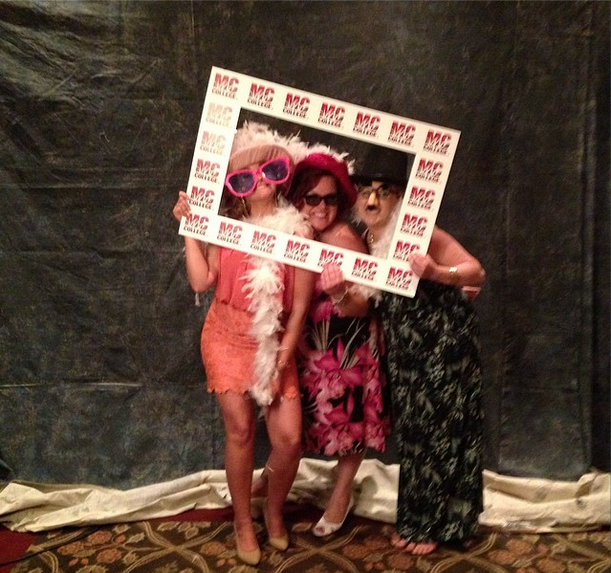 A picture slide show of the students played in the background, while graduates and their friends and families took selfies and group pictures at the photo booth (search #mcgrad on Instagram for more pictures!). The evening also included an awards ceremony, dinner and dance. Academic, Creative and the Frank Cairo award were a few of the awards that were handed out. Fun awards such as: biggest hair, most fashionable and the most talkative person were also handed out. MC College hosts two graduation events at each campus every year. The graduation allows the graduates, their friends and families, and the faculty and industry to come together to celebrate and recognize their achievements. 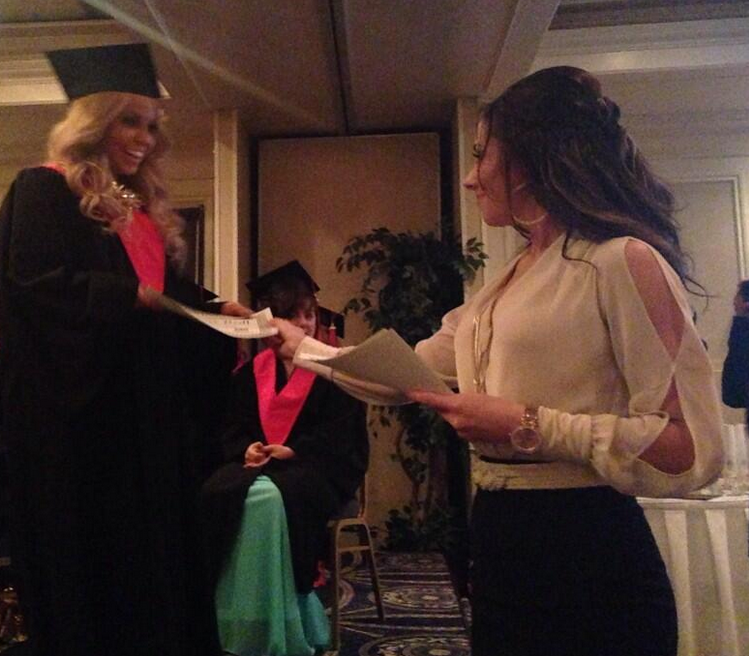 The Vernon MC College grad will be held on June 14th 2014. If you attended our Open House last weekend, thanks! 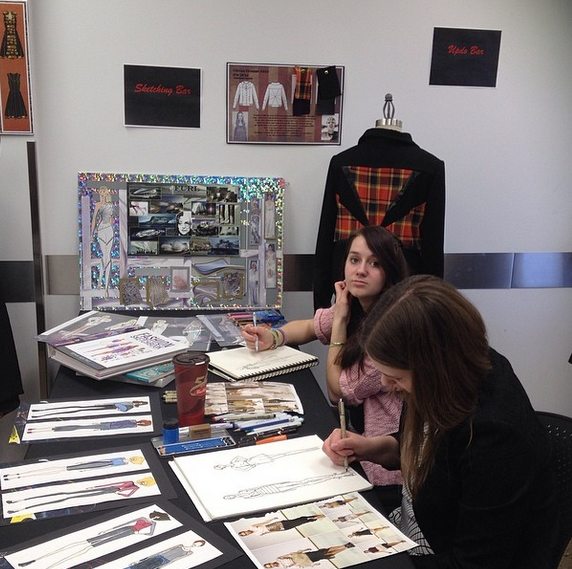 Over 300 people came through our doors to check out our Hairstyling, Esthetics and Fashion Design* programs, and experience the vibrant student atmosphere. In one classroom, computers were set up so guests can explore Artist Access; MC College’s online learning resource. In Artist Access, students can access their textbooks and classroom materials from their smart phones, tablets and laptops… anywhere, anytime. In another classroom, there were Financial Advisors from BMO, RBC and CIBC available to answer questions about financing and funding. At the event, every campus held a student-led photo shoot. 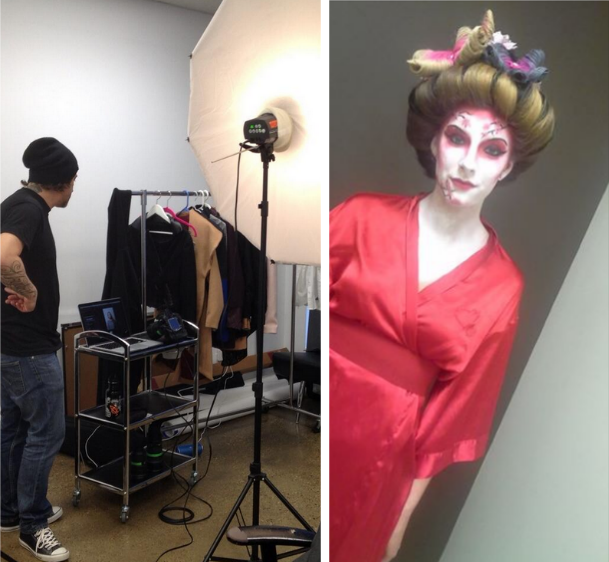 From Gossip Girl to Hollywood glamour and Walking Dead themed photo shoots, MC College students did hair, make-up and wardrobe styling on models, and directed the photo shoot. Potential students and their families had the chance to experience student life through hands-on, interactive demos. MC College students, staff and alumni showed guests how to do trendy nail art, smokey eye make-up, fashion design sketching and up-dos for prom. Each campus drew for a $1000 scholarship to MC College. Congratulations to the following winners: Avory Kania, Kyle Adrian, Amanda Borisow, Lori Sawatzky, Megan Schalk, Emanuela Sofineti and Jessica Bushey! We can’t wait for you to start at MC College! 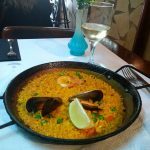 Missed the Open House? No worries! You can contact our Admissions Advisors year-round to set up a campus tour. They are more than happy to answer your questions and show you around the campus.